Is culture more important than economics in shaping ideology? Joe Greenwood discusses the analysis of new survey data revealing that contemporary ideological groups are related not only to political factors such as party identity but also to demographic and cultural characteristics. In particular, Moderates and Left-Wing Progressives appear to be demographically distinct from both Mainstream and Right-Wing Populists, but culturally distinct from Centrists and Mainstream Populists. Further, to the extent that economic factors do play a part, they are often less strongly related to ideology than other demographic and cultural factors. Subsequent analysis of the data showed that there is a partisan divide between opposed ideologies as well as a broader political divide between the ideological middle ground and more staunch ideologues. By contrast, the key demographic divide appears to be between Moderates and Left-Wing Progressives on one hand and Populists of various shades on the other. Chart 1 below presents the results of the logistic regressions underpinning this finding. Only the significant relationships (at the 5% level) are included as bars and the Exp(B) statistic indicates the likelihood of being in an ideological group that is associated with each of the variables in the model. Values above one represent a higher likelihood whilst those below one indicate a lower likelihood. The results indicate that age is positively associated with the two populist ideologies but negatively associated with the Left-Wing Progressive and Moderate ideology, whilst women are more likely than men to be Moderates and less likely to be Right-Wing Populists. Higher levels of education are positively associated with being a Progressive and especially a Moderate but negatively or not associated with populism and Centrism, with a similar picture emerging in relation to social grade. In keeping with the stereotype, students are particularly likely to be Left-Wing Progressives and unlikely to be Mainstream Populists, whilst unemployed people are more likely to fall into the latter category. Thus, the results are in line with previous evidence that those who supported Remain in the 2016 EU referendum, which is to say the Moderates and Left-Wing Progressives, are younger, more educated (or in the process of being educated), and tend to be in higher social grades than were the supporters of Leave, which is to say those in the Populist ideological groups. Interestingly, income bears little relation to ideological position, lending credence to the argument that culture is more important than economics in shaping ideology. Developing this argument, and moving beyond demographic variables, the model also included measures of cultural activities. This reflects the argument that cultural influences, as well as economic ones, have been key factors in recent political events and realignments in the UK. However, whilst that argument has focused on cultural identity and associated beliefs, the focus here is on the cultural habits and activities that relate to different ideological positions. In other words, it draws on the idea that the cultural capital, as well as social and economic capital, possessed and exercised by individuals is related to their political engagement, and thus possibly their ideology. The model included seventeen binary variables indicating the activities that respondents do in their free time, ranging from visiting art galleries to attending sporting events. The results show numerous relationships between cultural activities and ideology. For instance, those who like to visit fairs and circuses are more likely to be Mainstream Populists, which contrasts with the lower likelihood that they are Moderates or, especially, Left-Wing Progressives. Conversely, those who like to visit art galleries are particularly likely to be Left-Wing Progressives and less likely to be Centrists or Mainstream Populists. Continuing that theme, those who like to visit shopping malls and high street stores, and theme parks, are more likely to be Mainstream Populists and less likely to be Left-Wing Progressives. Further, those who like to attend live music concerts and museums are more likely to fall into the latter ideological group but less likely to be Centrists. The cultural activities that are related to being a Moderate are distinct; visiting parks and gardens, places of worship, and restaurants and cafes, and these activities distinguish them from Mainstream Populists and Centrists. By contrast, those who like to visit pubs and nightclubs are less likely to be Moderates, distinguishing them from Left-Wing Progressives. Interestingly, the cultural activities included in the analysis are largely unrelated to Right-Wing Populism with two notable exceptions: opera attendees are more likely to be Right-Wing Populists, whilst those who attend art galleries are less likely to be. The small number of these relationships may indicate that the variables do not cover the cultural activities that are related to Right-Wing Populism, or that members of the ideological group are not especially distinct form the rest of the population in terms of their preferred cultural activities. As always, we need to consider the strength of the relationships that we observe as well as their size. The Wald figures (which can be seen on the right hand side of each panel in Chart 1 and in which larger numbers indicate stronger relationships) show that ideology tends to be most strongly related to party identity and political attention. Age and education tend to have the next strongest relationships, and other variables such as gender, housing status, and cultural activities have weaker relationships. Amongst these variables are measures of economic factors such as social grade and work status, which are often less strongly related to ideological group than are cultural factors. Nevertheless, all of these variables are significantly related to political ideology and indicate that political, social, and cultural factors, as well as economic ones, should be part of attempts to understand ideological position. Overall, without making causal claims, the divide in cultural activities seems to be more relevant to the ideological split between Moderates and Progressives on the one hand, and Mainstream Populists and Centrists on the other. 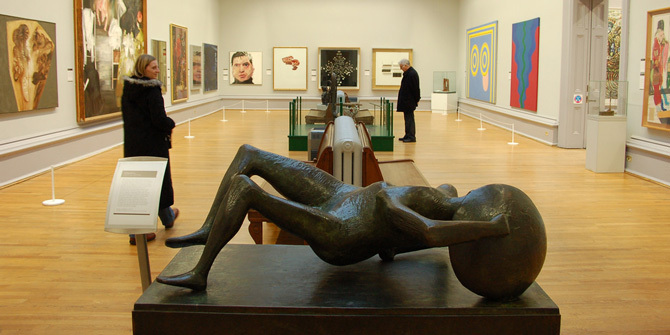 Particularly striking is the distinction between the likelihood that those who like to visit education-orientated cultural institutions such as art galleries and museums are Left-Wing Progressives rather than Mainstream Populists. On the other side, those who like entertainment and consumption-orientated cultural activities such as shopping and visiting fairs, circuses, and theme parks are likely to be Mainstream Populists rather than Left-Wing Progressives. These are particular examples but they suggest, more generally, that ideology is related to cultural milieu as well as to demographics. Further, it is often the case that cultural activities are more strongly related to ideological group than are direct and indirect measures of economic status. Thus, the beliefs that people hold about politics and society may be as much, if not more, to do with their cultural habits and environment than the money in their pocket or the status of their job. Joe Greenwood is a LSE Fellow in the LSE Department of Government, where he teaches on GV101 (Introduction to Political Science). 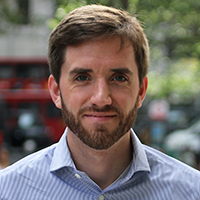 He previously worked at YouGov and, before that, completed his PhD at the University of Essex. His research focuses on political participation, privilege, and perceptions in the British context. He tweets @niceonecombo.